Retained as counsel for chemical company sued in alleged PFOA and PFOS contamination of municipal water supply. Retained as counsel for painting products manufacturer to defend benzene-AML (acute myeloid leukemia) death case filed in Franklin County, Alabama. Retained as trial counsel by excess insurance carrier in tractor trailer-pedestrian wrongful death case in Muscogee County, Georgia. Retained as medical issues counsel in defense of multiple cases claiming occupational asthma from workplace isocyanate exposure at manufacturing facility. Retained as trial counsel for mesothelioma case brought by marine engineer in Cleveland, Ohio. Retained to defend chemical distributor in alleged kidney cancer caused by TCE (trichloroethylene) case filed in Fort Worth, Texas. Retained to defend plumbing products manufacturer in defective product suits filed in Florida, North Carolina and South Carolina. Retained as counsel for petrochemical products distributor to defend benzene-acute myelogenous leukemia death lawsuit filed in Jefferson County, Texas. Retained to defend mining company in consolidated claims filed on behalf of over 200 coal miners alleging respiratory injuries from inhalation of isocyanate-based coal dust suppressant. Retained by battery manufacturer to independently review extensive discovery and to provide an evaluation of liability exposure arising from an underground mining explosion and fire resulting in 13 death cases and 14 personal injury cases with aggregate settlement demands in excess of $100,000,000. Retained as medical issues and damages counsel by national manufacturing company in defense of explosion and fire resulting in two deaths and two burn injury claims. Retained to defend automated equipment manufacturer in 300 consolidated products liability claims by former automotive parts manufacturing employees alleging respiratory and other health conditions resulting from fumes and chemical exposures. Retained as trial counsel for joint compound manufacturing in mesothelioma wrongful death case in Atlanta, Georgia. Retained as trial co-counsel for joint compound manufacturer in mesothelioma death case pending in Dallas, Texas. Retained to defend manufacturer of commercial pesticide and big box retailer in products liability suit alleging loss of eyesight from product use. Retained as trial counsel for mesothelioma take home exposure case filed in Seattle, Washington. Retained as trial counsel in case filed in Pierce County, Washington to defend pulp and paper mill premises owner in mesothelioma death case. Retained to defend products liability suit for burns arising from operation of Japanese manufacturer's shrink wrap heat press equipment. Retained as trial counsel for steel company in consolidated asbestos cases in Kanawha County, West Virginia. Retained as trial co-counsel for electric power company in asbestos litigation in Pennsylvania and in West Virginia. Retained to represent bottler of ephedra food supplements against claims arising in Arkansas, Arizona, and Florida. Retained as trial counsel for steel mill premises liability claim in mesothelioma death case filed in Austin, Texas. Retained to defend manufacturer of flexible gas line fitting in explosion/burn product liability case. Retained as trial counsel for joint compound manufacturing company in mesothelioma case in Bridgeport, Connecticut. Retained to represent German manufacturer of motorcycle transmission in wrongful death case involving performance testing by professional test rider during pre-production testing of high performance motorcycle. Retained by excess carrier to represent insured trucking company and driver in lawsuit arising from 18 wheeler truck crash seriously injuring physician, pregnant wife and other family members. Retained by steel company as trial counsel in Pittsburgh, Pennsylvania mesothelioma trial settings involving various secondary exposures and direct exposure claims. Retained as national trial counsel for Fortune 100 company's asbestos trials and assigned review of company's documents to prepare company's defense strategies. Retained to defend national retail store chain in coverage declaratory judgment action brought by insurance carrier and obtained coverage and payment of legal fees for defense of coverage suit. Retained to defend manufacturer of submersible underground water pumps in class action by private well owners alleging water contamination and increased cancer risks due to leaking lubricants and obtained dismissal of suit without payment of indemnity. Obtained reversal on behalf of pulp and paper mill company of workers compensation benefits award for a claim of occupationally caused lung cancer by successfully challenging the basis of opposing experts opinions. Retained as lead counsel to defend steel mill premises owner in mesothelioma death trial in Madison County, Illinois. Retained by cell phone manufacturer to defend fire loss allegedly caused by defective phone charger. Retained as lead trial counsel in 6 week trial in Pittsburgh and obtained defense verdicts of all 23 consolidated personal injury and death claims alleging respiratory diseases and cancers arising from asbestos exposures in steel mills. Retained to defend Japanese manufacturer of facsimile machine in subrogation fire loss claim brought by insurance carrier. Retained to defend an adult son in suit brought by step-mother claiming fraud, undue influence, breach of contract and seeking nullification of husband's will and rescission of trust agreements involving sizeable estate and obtained defense verdict on behalf of client. Retained to defend TPA in ERISA, fraud and bad faith lawsuit arising from denial of claims under medical benefits policy. Retained to defend national fast food franchise chain in coverage litigation brought by its carrier seeking denial of coverage for wrongful deaths of four employees occurring during store robbery and obtained dismissal of suit. Retained as lead trial counsel in living mesothelioma secondary exposure lawsuit and obtained defense verdict in 2 week federal court trial in Atlanta. Retained as trial counsel by national telecommunications provider to defend company and their 18 wheel truck driver in personal injury lawsuit arising from automobile-truck intersection accident and obtained a defense verdict. Retained to defend manufacturer of power generation unit in case involving explosion of product with alleged serious personal injuries to operator including post traumatic stress syndrome. Retained to defend defendants in asbestos products liability cases in Jefferson County, Mississippi and brought cases to successful conclusion. Retained as local counsel representing two power hand tool manufacturers in first known lawsuit alleging sino-nasal cancer from wood dust exposure and obtained dismissal with prejudice without payment of indemnity dollars. Successfully represented private lake owner resulting in case of first impression regarding water rights in the State of Alabama. Retained to represent personal lines insurance carrier in defense of all bad faith and extra-contractual claims filed in Alabama. Retained and successfully represented franchisee in wrongful termination of franchise litigation involving breach of contract and fraud claims. Retained and obtained summary judgment on behalf of general contractor in defense of construction defect claim involving prison facility. Retained as railroad's local asbestos counsel to defend inventory of asbestos FELA claims and successfully resolved same. Retained by medical malpractice insurer to review disputed claims, provide coverage opinions and to file declaratory judgment actions and claims in intervention. Retained to defend healthcare insurer in bad faith and breach of contract cases arising from rescission of policyholder's individually underwritten policies. Retained as lead trial counsel in Birmingham, Alabama consolidated trial of two cancer deaths against asbestos insulation manufacturer resulting in small verdicts which were offset by prior settlements. Retained as regional counsel (southeastern United States and Caribbean) from 1990 to 1993 for a manufacturer of asbestos insulation products with responsibility across the region for development, implementation and management of defense strategies, trial strategies, engagement of expert witnesses, defense cost savings, indemnity budgets, negotiations and strategies for individual and mass case settlements, and reporting to client's management team on an average inventory of 20,000 pending cases. Retained to represent interests of asbestos containing product manufacturers in national appellate strategy re: statute of limitations defense. Retained to represent interests of asbestos containing product manufacturers in national appellate strategy re: defense of punitive damages claims. Retained as national trial team member for asbestos insulation manufacturer and undertook trial assignments in various courts nationally. Retained as trial counsel for electrical wire manufacturer in mesothelioma death case in Los Angeles, CA. Retained as lead trial counsel for mid-size manufacturing company's commercial suit against Fortune 100 manufacturing company for tort and warranty claims arising from national product recall due to corrosion from a lubricant. Retained as national coordinating counsel for product manufacturer new to asbestos litigation and assigned task of developing strategies and protocols regarding defense of cases, preparation of company witnesses, confirmation of insurance coverage and other matters related to the client's defense. Kimberly-Clark Corp. v. Sawyer, 901 So. 2d 738 (Ala. Civ. App. 2004) (reversal of award to asbestos exposed employee-smoker with lung cancer due to failure of expert testimony to meet requirement of having general acceptance in the field). Southern Bakeries, Inc. v. Knipp, 852 So. 2d 712 (Ala. 2002) (a manifest, present injury is required before a plaintiff may recover in tort). Pace v. Armstrong World Industries, Inc., 578 So. 2d 281 (Ala. 1991). Ferens v. John Deere Co., 494 U.S. 516 (1990) (amicus curiae brief for Pfizer Inc. advocating recognition of statute of limitations of transferee court's jurisdiction in products liability actions). Paul counsels and represents clients in "bet the company," high stakes litigation, prepares and implements national defense strategies for clients and tries difficult cases to verdict. The primary emphasis of his trial practice is upon mass tort and complex litigation with particular interest upon cases involving scientific, medical and engineering complexity. Prior to his law career he was a chemist for a major petrochemical company. Paul practices in the Litigation section, focusing primarily on mass tort and complex litigation with particular emphasis on product liability litigation. He serves as a National Trial Counsel and as Regional Counsel for defendants in mass tort litigation. He receives assignments from excess insurers for litigation of large loss claims. His experience also includes commercial and insurance litigation, medical device litigation, FELA and ERISA litigation. He has a broad spectrum of regular clients. Chambers USA, the highly regarded legal directory which is based upon actual client interviews, has listed Paul as a “Leader in their Field” since 2008 in Commercial Litigation. Paul is listed in Best Lawyers in America in the practice areas of Mass Tort Litigation, in Products Liability and in Commercial Litigation. Alabama Super Lawyers recognizes him in the area of Class Action/Mass Torts and in Personal Injury Defense: Products. Paul has been an A-V rated by Martindale-Hubbell for many years. He is a member of the American Bar Association (Tort and Insurance Practice Section of Litigation, and Trial Practice Committee). He also belongs to the Alabama State Bar, the Birmingham Bar Association, the Defense Research Institute (Toxic Tort & Environmental Litigation – Program Committee), and the International Association of Defense Counsel. In 2010, he was an instructor at the ABA’s TIPS National Trial Academy. Paul is a member of the U.S. District Courts for the Northern, Middle, and Southern Districts of Alabama, the U.S. Courts of Appeals for the Eleventh Circuit, and the U.S. Supreme Court. He has been a speaker at national litigation seminars and has published nationally distributed articles on subjects related to mass torts and industry wide litigation. 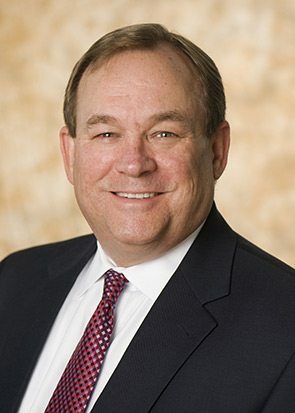 A 1984 graduate of Cumberland School of Law at Samford University, Paul served on the Moot Court Board and was selected to the Order of the Barristers. He was also Captain of the Jessup Competition Moot Court Team. He received his B.A. in Natural Sciences from the University of South Florida.